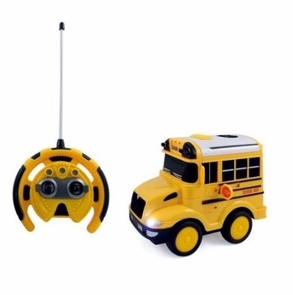 Mini RC remote control school bus are fun for all ages and are easy to use thanks to the included wireless steering wheel. Drive forwards, backwards, left, and right with ease. Great for children or adults and makes a great toy for bus drivers! Want more? This RC bus makes real school bus noises when driving and the headlights really work too!